Subject: Devastated Hanalei Reef. Pics with _______ PHD Marine Biologist. 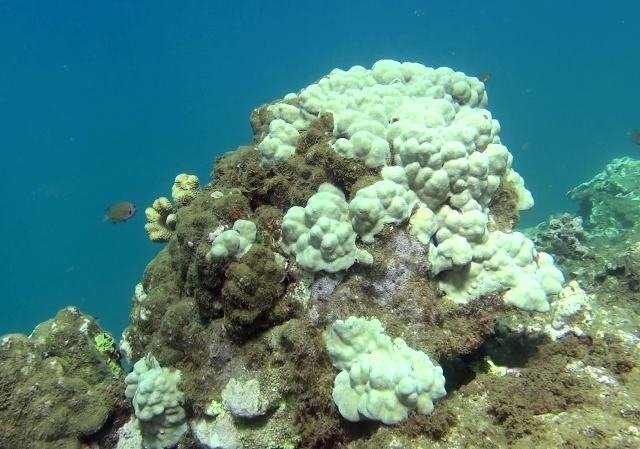 Have you ever heard of a total “reef collapse”? 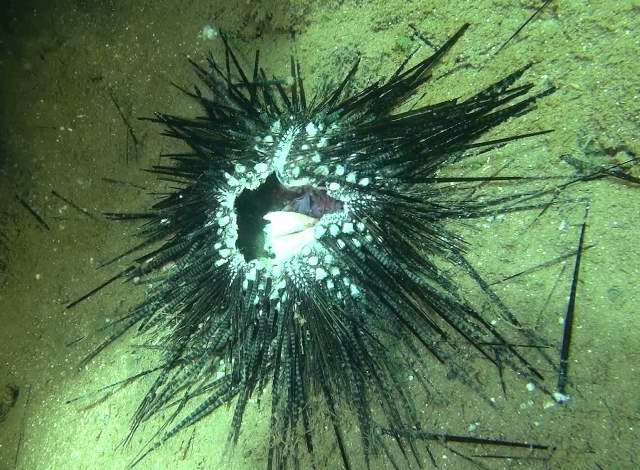 I have, but I have never seen this happen in my 56 years of diving until now in Hanalei Bay! 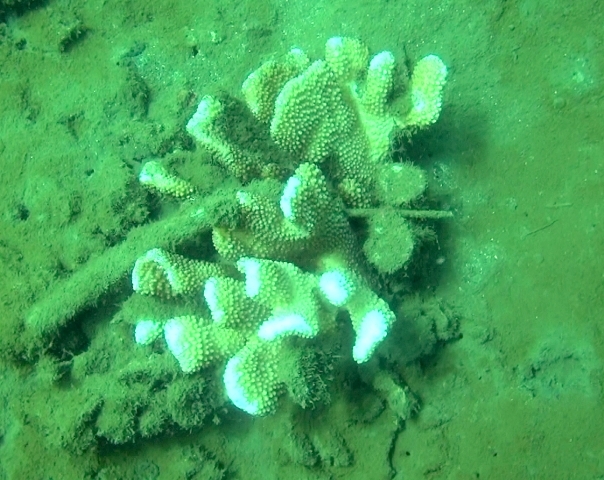 I have been taking video of the beautiful corals that lived at the “bowl” for ten years now on a monthly basis. 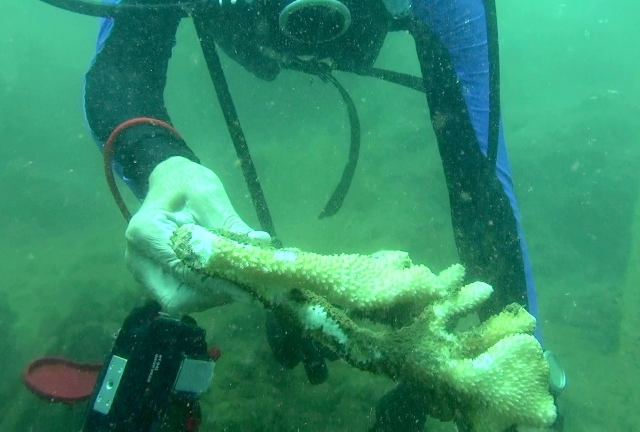 Hundreds of giant 200 year old mound corals that weight more than a ton! 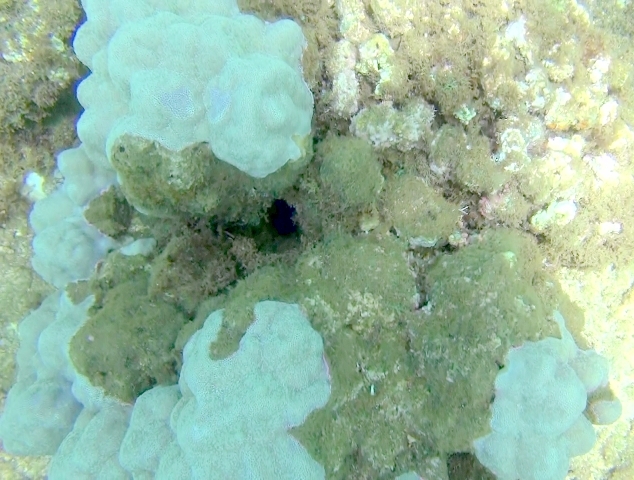 Thousands of golden antler corals, green, purple and yellow cauliflower corals and pink rice corals. All dead now! 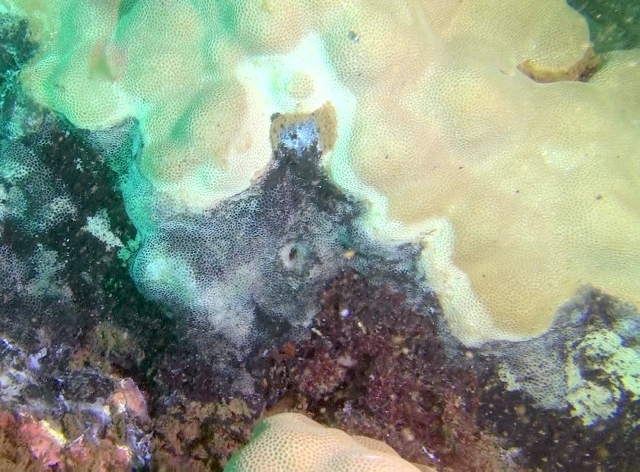 What is even worse is the reef itself is collapsing and falling into the deep mud on the bottom. It is sickening and deadly. Both me and my one dive buddy who scuba dive this spot have nearly escaped death with massive heart attacks! We both now have heart stents to keep us alive. 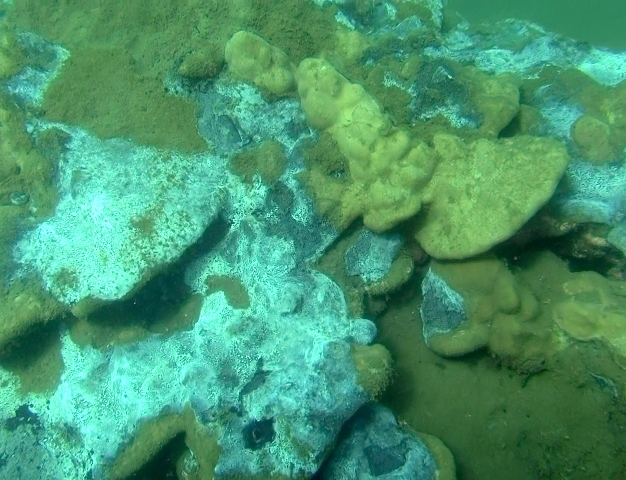 When I asked marine biologist _________ to dive this reef with me yesterday so she could see the destruction first hand I told her about the health risk. 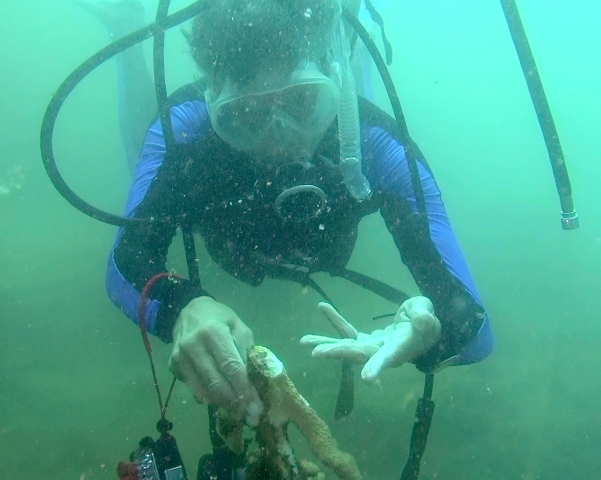 After she saw the giant dissolving corals, giant corals diseased and upside down on the muddy sea floor and broken corals littering the entire reef she said “this is the worst dive I have ever done in 50 years of diving”. I said the same thing, but I was happy to be alive after the dive!! 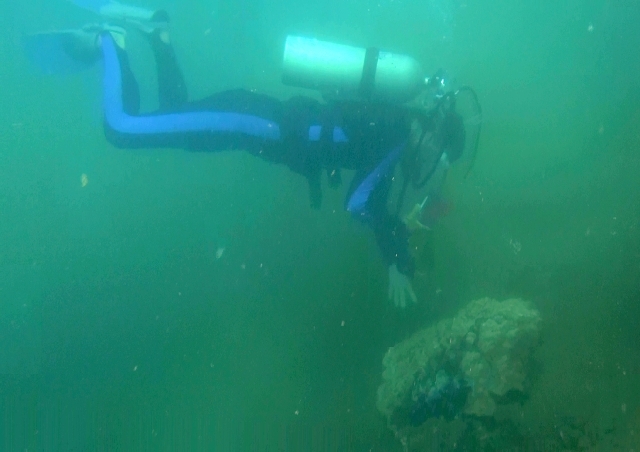 We both made it back safely but I am on my way right now to my cardiologist to get a full check up because I have already tested the mud we were diving in, and it has 550 PPM of nickel, 160 PPM of chromium and 80 PPM of lead. 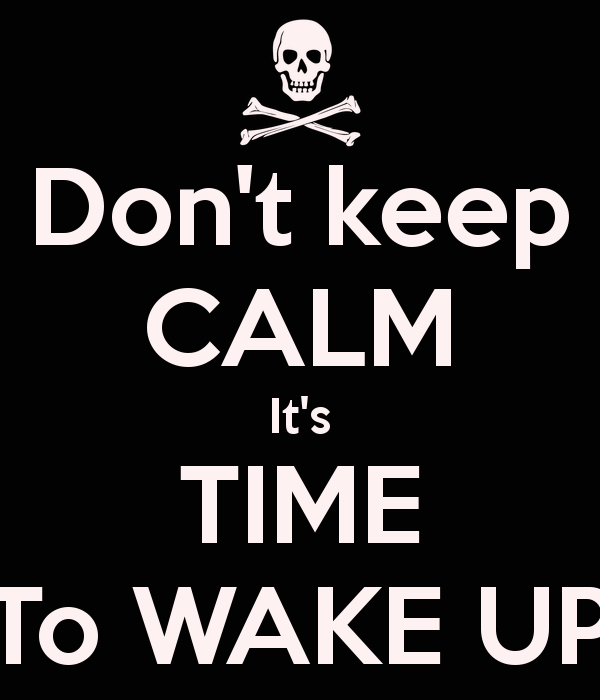 According to the US Department of Health 50 PPM of nickel is a “hazardous waist” and can cause a heart attack!! Since I had a massive heart attack while diving in this crap I take these test seriously! I know others do not, but they would not touch the water in Hanalei Bay! What in the world could level a reef in just 30 days? The rice corals on this reef have been diseased and dying for three years but the giant mound corals looked fine only 3 months ago! This can all be verified by UH, NOAA and the USGS because they did extensive survey work with me on this reef over the past two years. 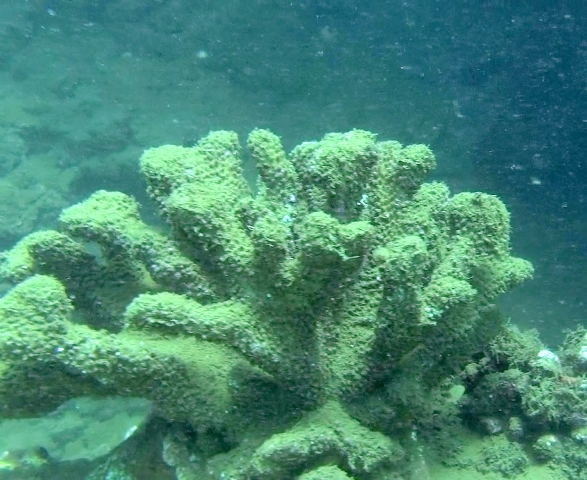 The large corals are now all turning into mud and anyone could put on a mask and snorkel and go look for themselves! The giant mound corals on the edge of the reef that cause the surf to be good in the winter were just fine until three weeks ago! I have the exact day they fell off the reef when the Navy destroyer was sitting just outside of Hanalei Bay! 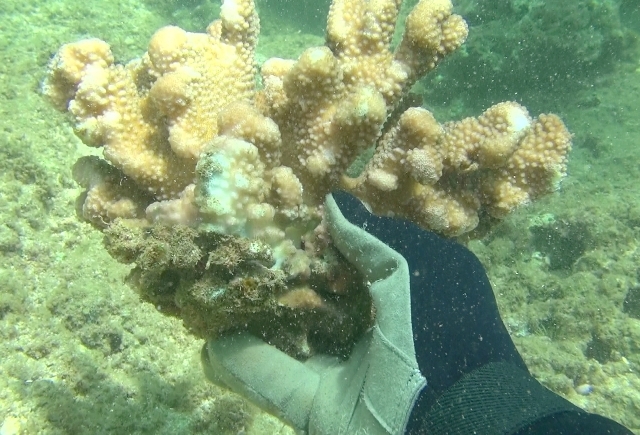 There are thousands of broken coral pieces all over the reef that were not broken 30 days ago! I have only seen one reef that had this much damage in less than 30 days and that was in Belize right after a category 5 hurricane. But there the reef was washed clean. The corals were all broken and demolished but clean. 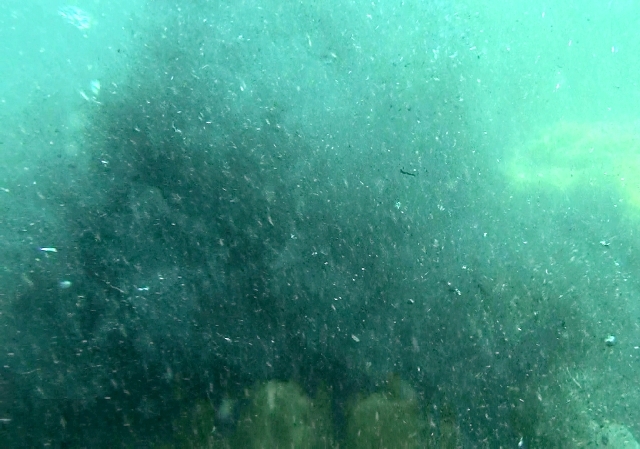 There was no mud on the reef and the visibility was over 100 feet. 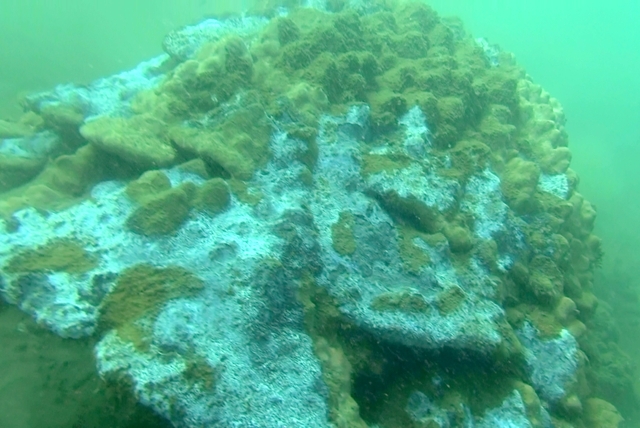 The Hanalei Reef is decomposing and looks like it is covered in battery acid. When you touch the sea floor it sends up black clouds of crud that would tell anyone that this is extremely dangerous to be in. Here are some picks out of my video from yesterday. The black mud on the bottom, giant corals laying on the bottom on their sides diseased and rotting that were once on top of the reef and beautiful, Katherine holding the broken coral wondering what destructive force could have caused this, me holding broken corals and giant 400 year old corals turning into mud right before our eyes. The RIMPAC electronic warfare “games” using millions of watts of microwaves, radar, lasers and sonar can kill whales, but it also can kill an entire reef. It is being used to kill people all in the name of making people safe! Strange logic in my book. 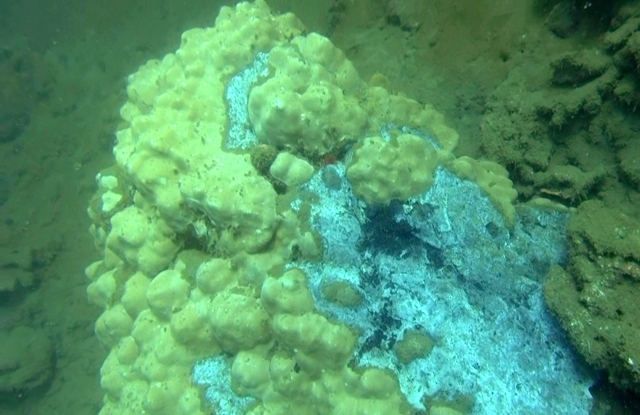 We are not safe with a dead diseased reef all along the north shore of Kauai.